HOME TOUR ON 'ONCE UPON A TEA TIME' - HIP HIP HOME! I recently connected with Priya of 'Once Upon a Tea Time'. Priya writes for her blog 'Once Upon a Tea Time', publishes the monthly OUATT digital magazine and manages an online marketplace which offers products from various global vendors. 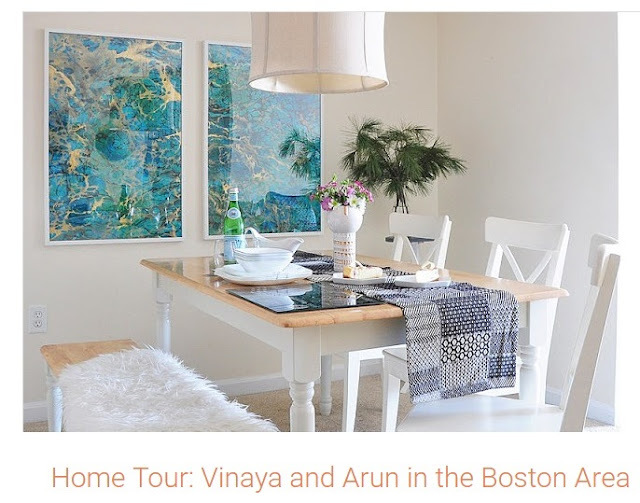 Priya just featured our little apartment on her website and I would love for you to check it out! Here's the link to the tour. Thank You Priya, for the feature! 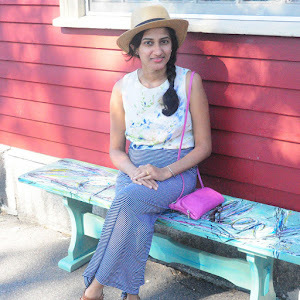 I love blogging as a way to document my growing interest in the field of design and art. But another wonderful perk of blogging is being able to connect with other bloggers and creatives. For me, blogging has definitely opened the big, wide doors to a creative world which continuously feeds me with endless inspiration. Thank you Emma! So glad you agree - blogging is such a great tool. Thankyou for stopping by, friend. Thank you for sharing your beautiful home with us! Oooh looks beautiful! I'll have to add it to my reading list! So pretty Vin! I love that last picture! Hi Linda! Thankyou for stopping by the blog :) . So glad you enjoyed the post. Yeah the last picture, I dont think I have shared it on IG before :) . Happy you liked it!